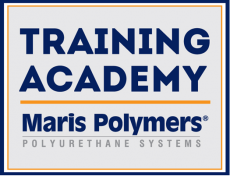 The highly experienced staff of the MARIS POLYMERS Technical Support organizes every year a series of technical seminars. These seminars address to anyone interested to be better informed about the company’s products and the integrated technical solutions and benefits these offer. Training academy issues certificates of approved contractors/applicators, to professionals in the waterproofing and flooring sector, following the completion of the seminars.